Join Child Youth Services (CYS) and the Family Advocacy Program (FAP) for a FREE family dinner to kick-off the month of April's events! 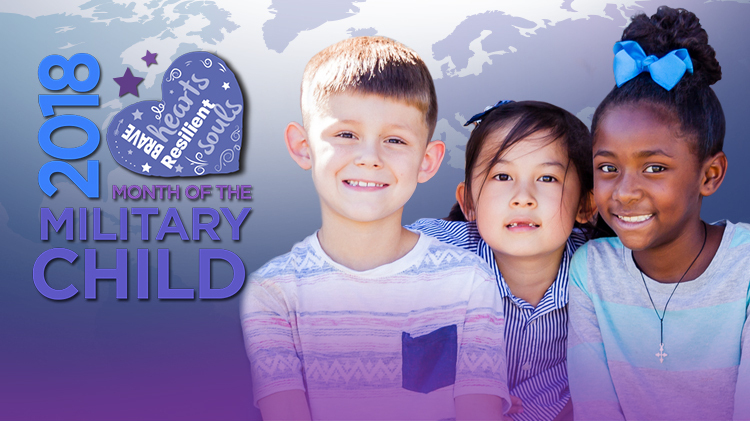 The Month of the Military Child Kick-Off Dinner will be held Monday April 9 at the Fort Belvoir Community Center, 1200 Taylor Road, Bldg. 1200, from 5:30 p.m. - 7:30 p.m. All ages are welcome. KidFest will be held Saturday April 28 at Markham School Age Center, 9500 Barlow Road, Bldg. 950, from 10 a.m. - 2 p.m. All ages are welcome. TeenFest will be held Saturday April 28 at the Youth Center, 5850 Langfitt Loop, Bldg. 1003, from 10 a.m. - 2 p.m. All ages are welcome. It will be a fun-filled day of games, prizes, and crafts. Hot dogs and snacks included. And it's all free! Free event. Tickets are required! Tickets are required! Tickets are available for pickup at CYS Services, CDC's, the Community Center and ACS. No registration required. Open to all eligible patrons with valid ID.